After an extremely muted response to the first trailer for Solo: A Star Wars Story, there was a lot riding on this new promo for the film about the early days of the iconic Han Solo. This one certainly makes things look at lot more entertaining and suggests Alden Ehrenreich might be a better Harrison Ford replacement that the previous trailer did. Here’s the synopsis: ‘Board the Millennium Falcon and journey to a galaxy far, far away in “Solo: A Star Wars Story,” an all-new adventure with the most beloved scoundrel in the galaxy. Through a series of daring escapades deep within a dark and dangerous criminal underworld, Han Solo befriends his mighty future copilot Chewbacca and meets the notorious gambler Lando Calrissian, in a journey that will set the course of one of the Star Wars saga’s most unlikely heroes. The planned Han Solo prequel has certainly had production issues, not least swapping directors partway through the shoot, with Phil Lord and Christopher Miller ejected, and Ron Howard brought in. However, issues during the making of Rogue One didn’t stop that being a good movie, so there’s still hope here. It is slightly difficult to get a proper feel for the film from this first trailer though. In case anyone was wondering whether Alden Ehrenreich has the right look to be Han Solo, the first cast photo has arrived, which actually shows him to be a better ringer for a young Harrison Ford than you might expect. The pic has arrived to mark the start on principal photography on the currently untitled Han Solo Star Wars Story on February 20th at Pinewood Studios. According to the press release, ‘The movie will explore the duo¹s adventures before the events of Star Wars: A New Hope, including their early encounters with that other card-playing rogue from a galaxy far, far away, Lando Calrissian. 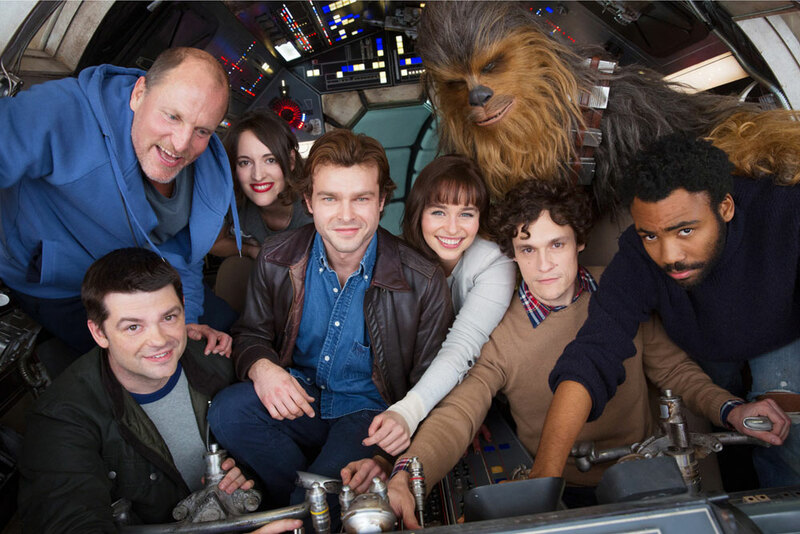 Phil Lord and Christopher Miller are directors co-piloting the movie, with a cast that includes Alden Ehrenreich as Han Solo, Woody Harrelson, Emilia Clarke, Donald Glover as Lando Calrissian, Thandie Newton, and Phoebe Waller-Bridge, with Joonas Suotamo as Chewbacca. The untitled Han Solo Star Wars Story is set for release in May, 2018. Back in May it was revealed that Alden Ehrenreich will be the young Han Solo in the planned Star Wars spin-off about the character’s adventures before A New Hope. At the time it was mentioned that the makers were looking for the movie’s female lead, who was said to play a massive part in the film. It’s taken them a while, but now it’s been revealed that Game Of Thrones and Terminator Genisys’ Emilia Clarke has taken the role. It was reported earlier this month, that Clarke was on a list that also included the likes of Tessa Thompson, Zoe Kravitz, and Naomi Scott. However, now Disney has said it’s definitely going to be Clarke. What hasn’t been revealed is anything about the character. Some have speculated it will be Sana Starros, who in the comics was revealed to be Han’s wife from before he met Leia. However, when Disney bought Lucasfilm they decided everything outside the main movies would no longer be canon (they are now referred to as ‘Legends’) and so there’s a very good chance it will be a completely new character we’ve never met before. The Han Solo movie is set for release May 2018. Synopsis: ‘Often times you find love where you least expect it. Sometimes it takes you where you never expected to go… Louisa “Lou” Clark (Clarke) lives in a quaint town in the English countryside. With no clear direction in her life, the quirky and creative 26-year-old goes from one job to the next in order to help her tight-knit family make ends meet. Love is not going to run smooth for Emilia Clarke & Sam Claflin in Me Before You, but then it never does in the movies, does it? Based on Jojo Moyes’ best-selling novel, the film will hit UK cinemas this June, so it’ll be a bit of counterprogramming to the slew of mega-budget blockbusters we’re sure to have around that time. Matthew Lewis, Jenna Coleman and Charles Dance also star in the movie. Take a look at the trailer below. Having spent $10s of millions on buying the Terminator franchise, the backers of Genisys had a lot riding on the movie. The film was planned as the first part of a new trilogy, although it seemed that was in major doubt after it only made $89 million at the US box office. However worldwide it did much better, grossing $440 million overall. As a result we’re likely to see more Terminating, even if the original plans change. 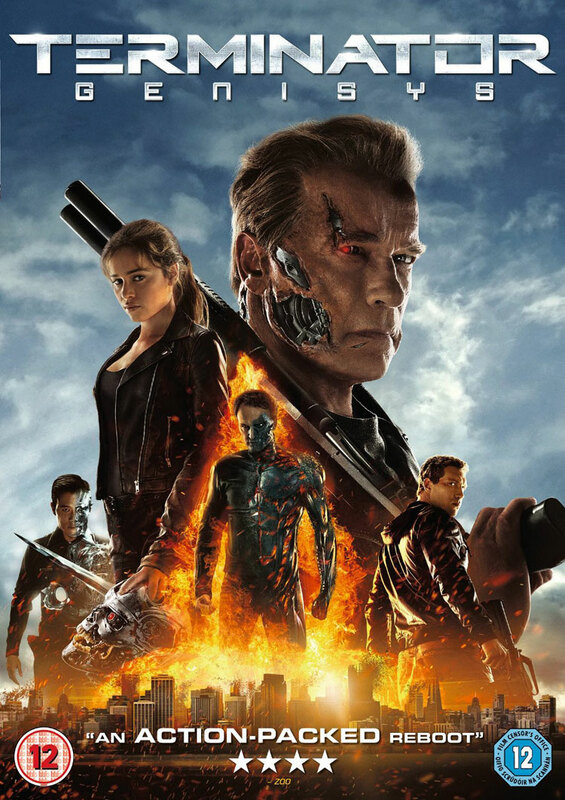 Terminator Genisys is fighting against franchise fatigue, and while it’s done a decent job so far of suggesting to film fans that it might be worth a look, it’s still got a way to go show that it reboots things enough to make it feel fresh while not completely abandoning what people liked about it to start with. To help with that a set of character posters have popped up online, which like the last trailer showcase the old and new, and also show that Jason Clarke’s John Connor is rather different to the character we’ve seen in previous instalments and that he may be the villain this time around. There’s still a bit of suspicion around the continuation/reboot that is Terminator Genisys, even after a very good first trailer. However now the movie is ready to really show us what it’s got up its sleeve, giving us a glimpse at exactly how Jason Clarke’s John Connor plays into a movie that takes place largely before he was born. We already new that this would be a different version of sci-fi past than we’re familiar with, with Sarah Connor having been teamed up with Arnie’s Terminator for many years, but now we know her son is also heading back in time and he’s going to be… well, just look at the trailer below. Plus we also get a glimpse of 1984 Armie having a fight with 2015 Arnie, which should be fun. 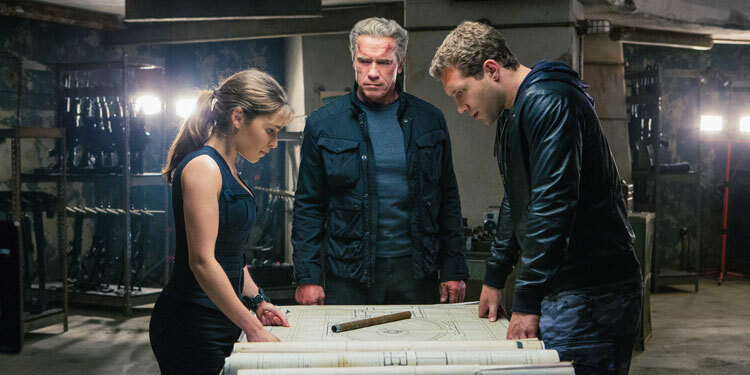 Although it’s only 40-seconds long, the SuperBowl spot for Terminator Genisys certainly puts the action to the fore, with explosions, somersaulting buses and general mayhem, along with a grey-haired Arnie showing that even cyborgs can get old.